It’s where you go to know how your brand should look and behave on social. It’s a document you create and share, showing the right voice, tone, colors, words, and visuals that makes your brand you. It’s not your content marketing strategy. That’s the what. Think of your social media style guide as the how. While your audience may not praise you for how well everything fits together, your boss will. But, before you get too confident, let’s look at what should go inside the guide. Now that you know the why of the guide, this section will help you create a living, breathing document. I’ll give you plenty to consider. Add new ideas as you go. Update other items as your strategy evolves. Think of your guide as a process, rather than a static thing. Share the link to your guide often. This is the go-to place for everyone, for your brand to show up as intended across all your social media accounts. Use your guide to remind everyone of why you’re on social. State the goals, front and center, with a link to your social marketing plan and strategy. Too many businesses lose sight of their who. And the whats of their who. Create a buyer persona (a fictionalized representation) of your ideal customer. So you can know things like their age, job title, interests, and professional challenges. 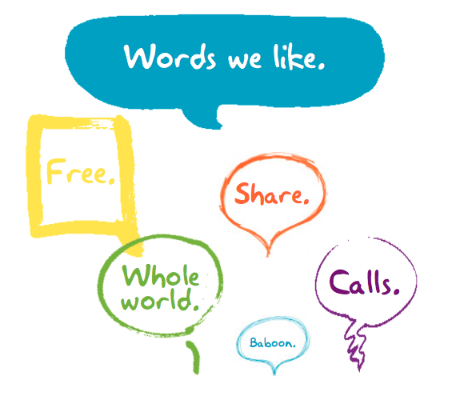 And… how they speak, consume content, and behave on social. Does it differ from platform to platform? Define the people you want to reach and influence on social. You might already have this for your business. Make sure it shows up here, too. It’s hard to write, design, and share posts for an ill-defined audience. Where are all your social media accounts? Can you answer that right now? In seconds? That’s what this section is for. List them all. Every. Single. One. Including primary and secondary accounts. For example… Nike has several Twitter accounts. This will also help you define naming conventions, which is hard to do if you can’t see them all together. For new accounts, on new platforms, use the same naming style. Maybe the name you really want is taken? If so, determine what’s acceptable for backup names. Maybe add some suffix to the end? Also, list everyone who has access to each account, with their role and responsibility. It’s not just what your brands says, but how, too. 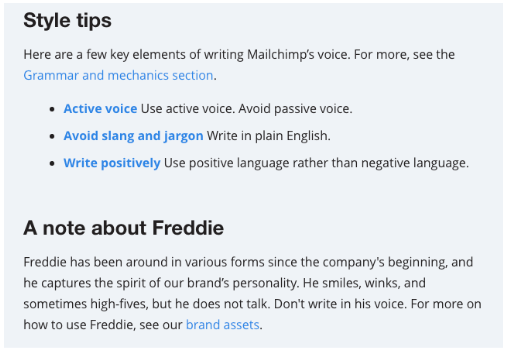 Voice defines the overall sound for your brand personality. Tone is the way you use your voice. Both of these make your brand more human, allowing you to have natural conversations. Which is expected on social media. Again, it’s important to show up consistently—across your ads, posts, tweets, videos, and all the other ways you share. “But, how do I establish my brand voice on social media?” you ask. I wrote this article to help you do all those. Describe your voice and tone in your guide. So no matter who’s posting, your fans and followers will perceive your brand just right. Got words and phrases unique to your business or industry? Include these in your guide, along with ways to use them. Already have a guide for your website or blog? Start with that for your social guide. Use what you like best, ignore the rest. Make it so you never have to again—ever. Load your guide up with where to go when your brain runs dry. List where to find blog posts, announcements, images, videos, or GIFs to make your brand shine on social. Check out these social media content ideas that work for inspiration. This may or may not be important to you. But if it is, make it known the best times to publish your posts. So you can get more likes, shares, comments and clicks. How can you know when the best time to share is? Take a look at our analysis of the best time to post on Instagram, Facebook, Twitter, and LinkedIn. It’s backed back data from over 400 million posts. A publishing calendar can also help with this. Don’t have one? Don’t cry. Here’s a handy template you can download and use. For all those great words and images, who should be given credit? Do you want each post to come from your brand? Or from your writers? Either way, post (the verb) each post (the noun) accordingly. Me? I always prefer that posts come from people, not brands. Because we’re all in the human-being business. Consider including citation guidelines as well, so no one inadvertently violates copyright laws. Can you see the style guide getting clear in your mind? It’s all coming together, right? What format should employees use for sharing links, status, and updates (e.g., does your organization always use a particular URL shortener?)? What should each post look like—for each platform? Where should hashtags show up each time in the post? Yet another reminder—the more consistent you look, the more people will recognize your brand. Persistent about this aren’t I? You’re not doing this for fun (even though it is fun). You’re doing this to make money for your business. Most post on social as a way to stay on top-of-mind of their readers, offering value for nothing in return. This positions you as an expert in your space. By doing this over time, you have also earned the right to ask your readers to take an action. Like clicking on a button, link, or image. For things like… sign up for a free trial, download a guide, or call us. Use your guide to help social team members know when and how to express your CTAs. I wrote these two pieces for you. How to Write a Compelling CTA for Social Media, followed up with examples. The hashtags you use will vary based on the content or campaign. Should they be all lower, upper, or mixed case? List that. Our guide to using hashtags for every network goes deeper on the subject. As you use hashtags over time, strengthen up this part (all parts, actually) of the guide. The best guides are ones that have been groomed over time and use. Data beats guessing, right? Like them or hate them, emojis say more, using less (characters). And, it’s been shown they increase engagement, if used correctly. Outline when (and how) to use emojis. Our definitive guide will jumpstart you. Did something wonderful, terrible, or interesting just happen in the world? Something everyone now knows about? For any breaking news story… Should you respond? How? When? It’s a hyper-connected world. Outline a strategy to keep your brand from looking tone-deaf or insensitive. Publish with a conscience and awareness. Determine if responding or pausing is best, and how to decide. Do you publish the same post across Twitter, Facebook, Instagram, and others? And, you want to use the right words for the right platform. Retweet and Share come to mind. Same for tagging, since usernames won’t always be the same. Define the rules so you won’t look like fools. Have you ever noticed how well put together a company’s Twitter, Instagram, or Facebook feed looked? It wasn’t by accident. It was planned. Keep all your assets in a single and known location. 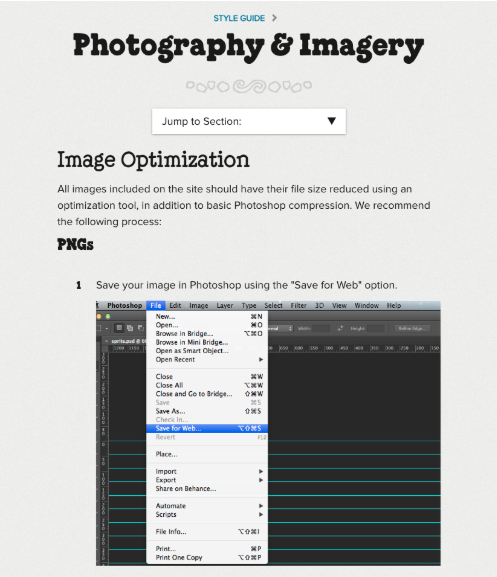 This will make it easy for posters to create and share visuals, so everything will look as it should. This is fresh for me. I recently wrote this Hootsuite article on how to deal with social media trolls. So I’m adding this section here, so you can add it to your guide. Trolls cause problems. You and your team should know how to identify them, then determine how to handle them. Explain your strategy so your brand will appear rock solid when a troll shows its ugly. Explaining is one thing. Seeing is another. 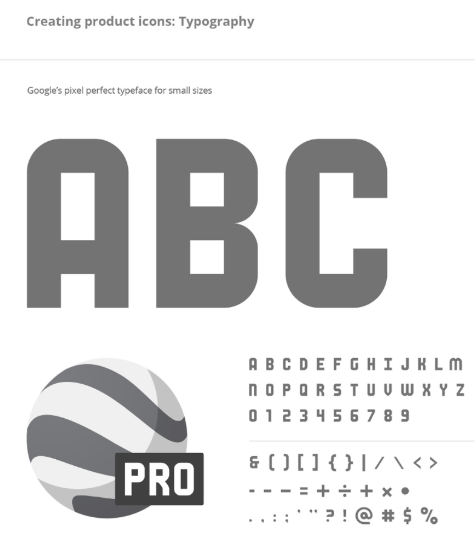 I’ve composed a list of some excellent style guides for your eyes. They’re not all specifically for social media. But they all convey the ideas outlined in this post. Use these guides to help guide your guide. 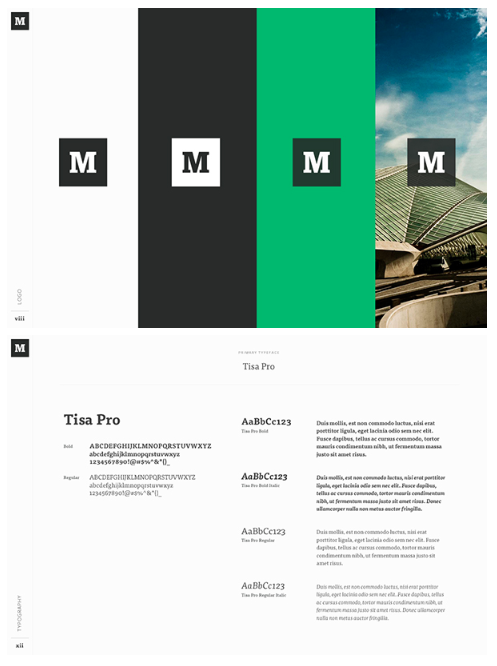 I’ve always appreciated the blend of color and typography on Medium.com. It’s big and bold, yet minimal, with plenty of whitespace. Everything is easy to read, scan, or skim. See the full brand guide here. The Skype video-chat platform is everywhere. 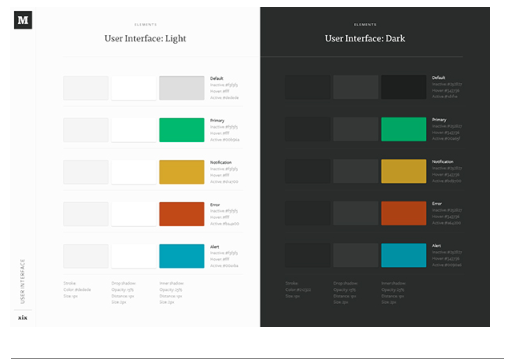 And their style guide is an excellent example of what your guide could look like. It’s fun, yet communicative. 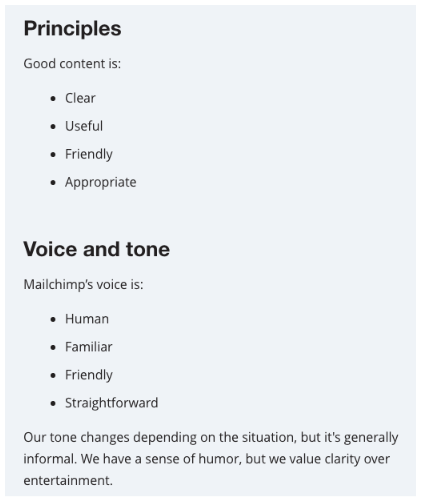 Mailchimp has some of the most outstanding images and messaging across the web. 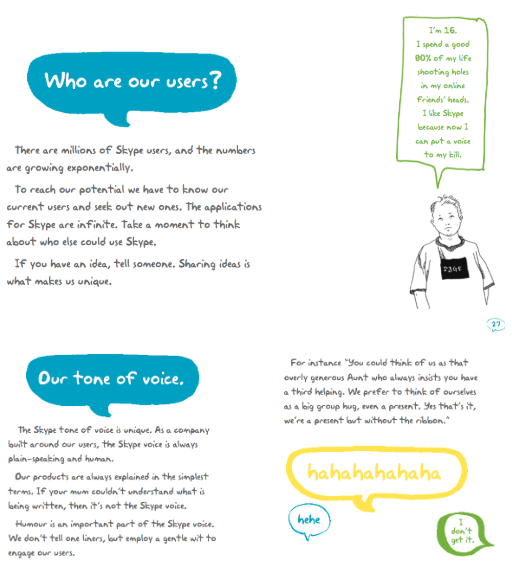 Interesting though how their style guide is all text. Whatever works, right? 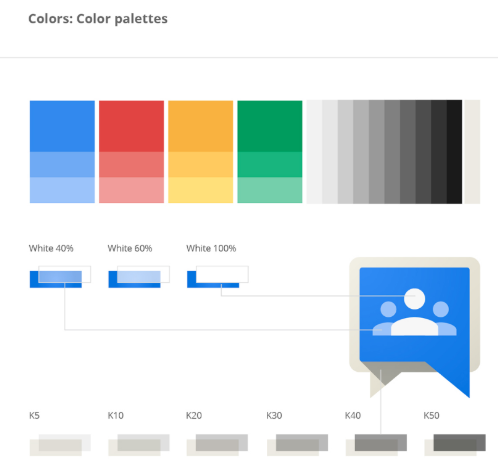 Because they’re so huge, Google has a guide to ensure all their assets are ‘pixel perfect’. They expect a high standard for everything visual on the web. 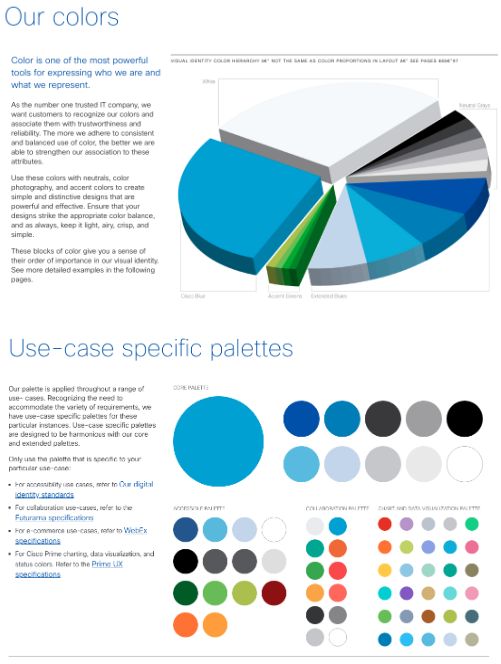 See the full ‘visual asset’ guide here. 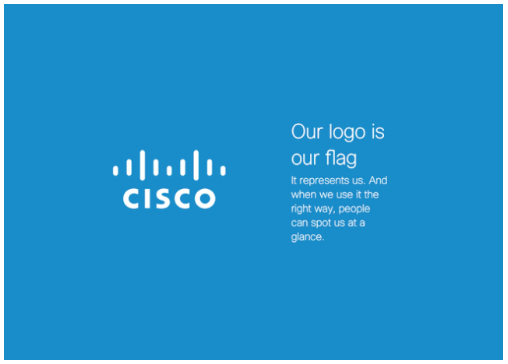 Cisco uses an interactive approach for their guide, page by page. They also have a guide just for colors. 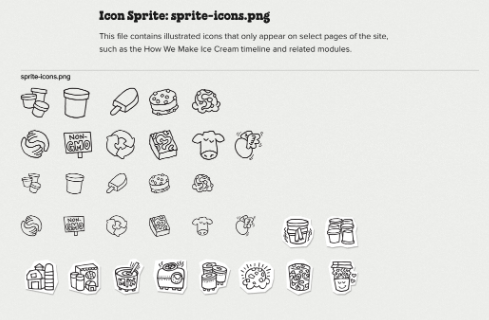 Ben & Jerry’s guidelines center around hand-drawn assets for their icons, fonts, and other images. Now, go ‘nail it’ by creating your social media style guide, to make your strategy happen. Use Hootsuite to schedule posts, engage with your audience, and measure the success of your efforts. Try it free today.